For today's look, I tried out my new Burberry Sheer Foundation in Trench No. 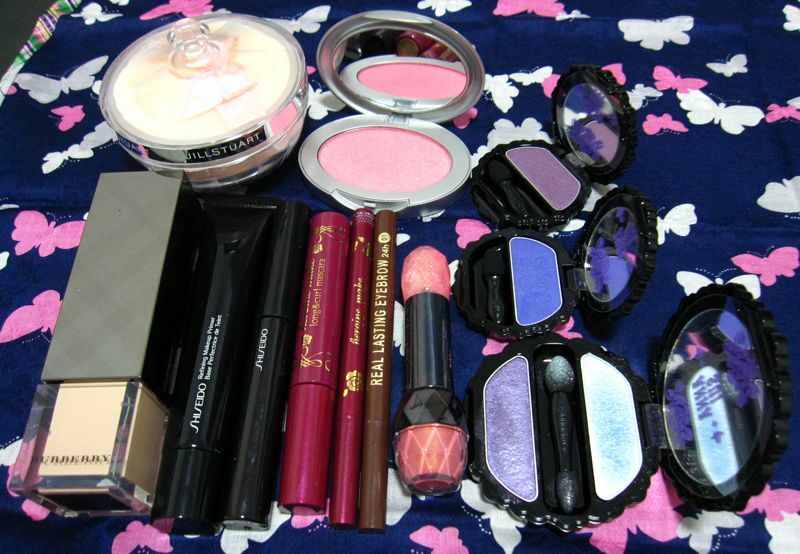 4 as well as a couple of the new Anna Sui Eye Colors. Anna Sui Eye Color #202 is a deep plum with purple micro-shimmer. #203 is a blue-toned purple with a soft satin finish. 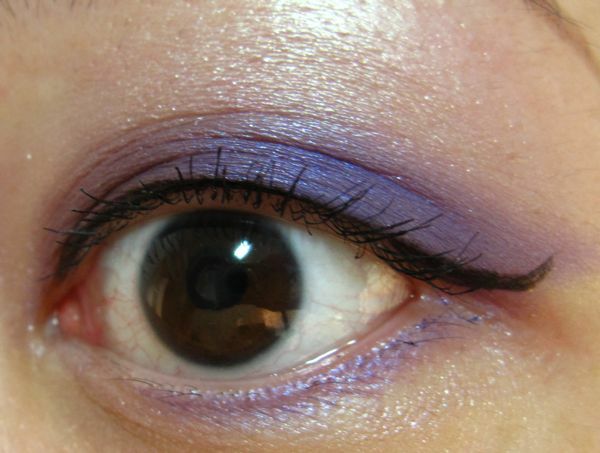 I applied #202 on the inner half of the lid and #203 on the outer half and along the lower lashline. I used the light blue shade from the Anna Sui Eye Color Duo #6 over the browbone area and inner corners. 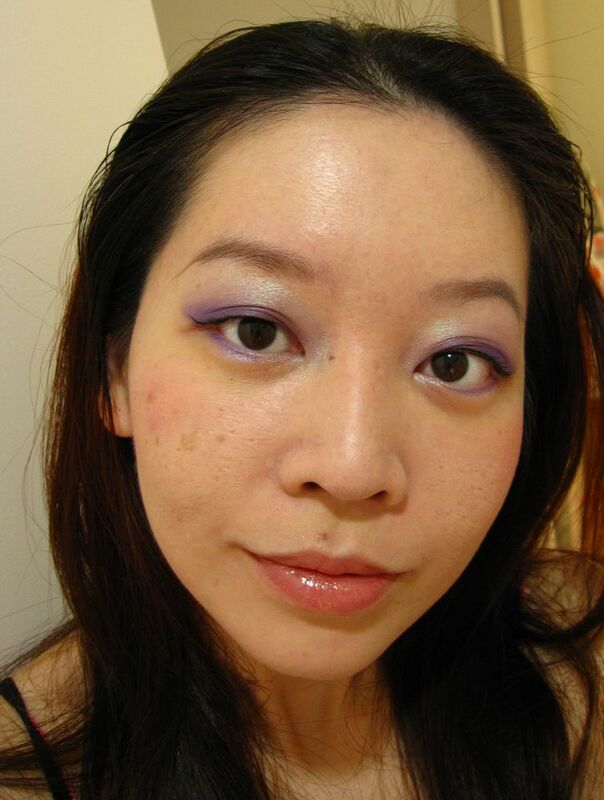 Next, I applied Heroine Make Long & Curl Mascara over Shiseido Nourishing Mascara Base, and finished with Heroine Make Smooth Liquid Liner along the upper lashline. The Burberry foundation turned out to be quite impressive! Trench #4 matched my skintone quite well and did not oxidise on me during the 14 hours that I wore it. One pump was sufficient for one application and it applied and blended quite easily without streaking or pooling in my pores. The finish looked natural without being overly flat or matte. There isn't a slight sheen like one gets with Lancome Teint Miracle. The foundation provides light to medium coverage so you will most probably still require a separate concealer. Oil control was average and I needed to blot every couple of hours. Even after many hours of wear, it did not start to cake. On the lips, I used Maquillage Rouge Enamel Glamour PK386. Afer applying the liquid rouge, you are supposed to let it set for about 1-2 minutes before applying the shimmery lipgloss. The liquid rouge felt a tad drying on my lips but after applying the lipgloss, it feels much more comfortable. The lipgloss tends to wear off after a couple of hours whereas the liquid rouge can last about 3-4 hours (including drinking). After a meal, I prefer to wipe it all off and re-apply but wiping it off does take some effort. 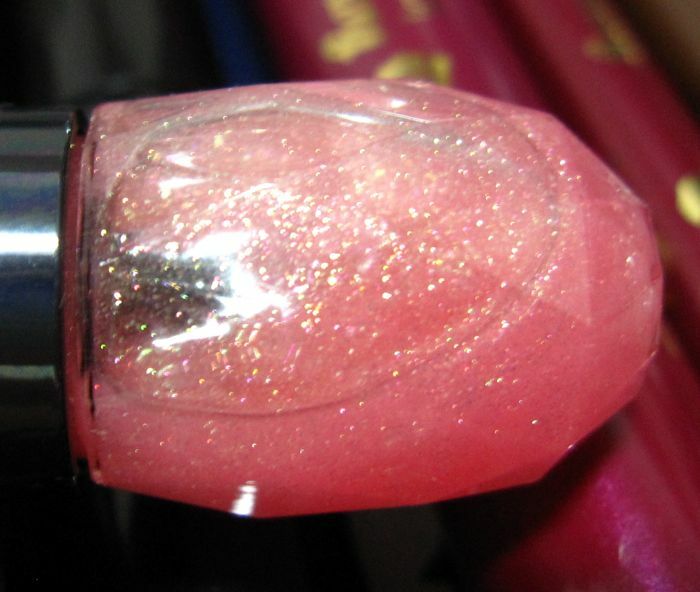 PK386 is a girly light pink with golden shimmer. 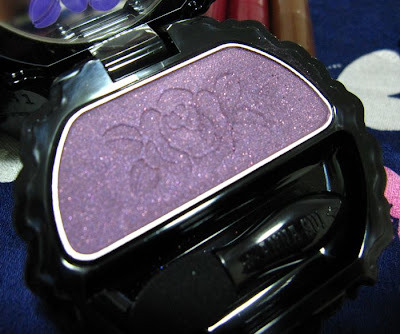 Hi, how is the texture of those Anna Sui shadows? Would you recommend them? Thanks! 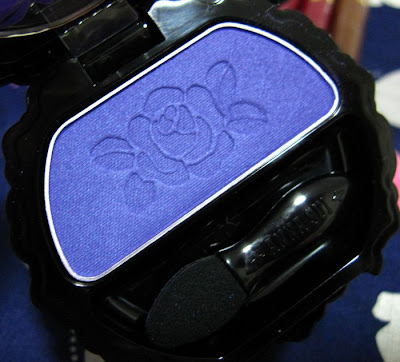 The Anna Sui eyeshadow singles are very smooth with good colour payoff. 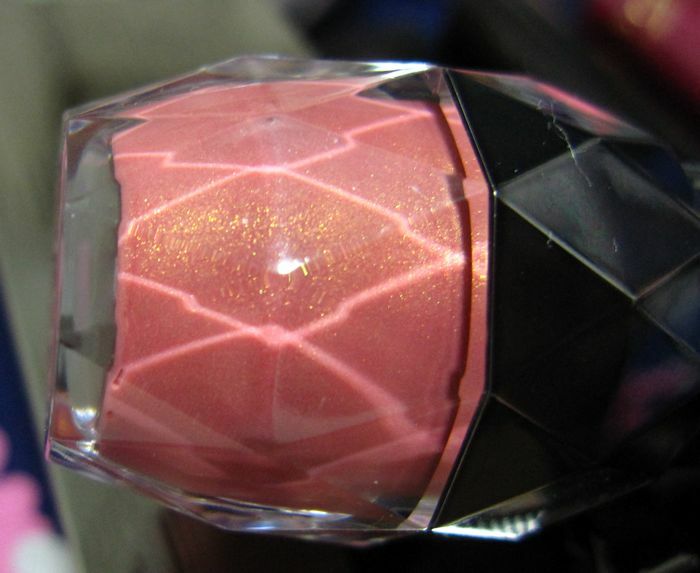 The singles come in a variety of textures with some shades being more shimmery than others. 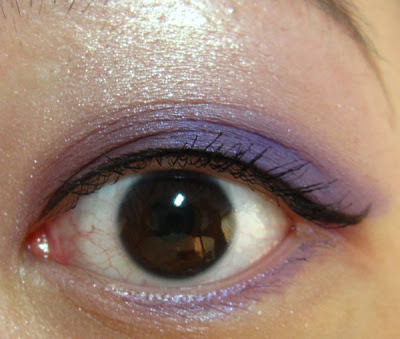 The eyeshadow duos are different as they consist of a powder shade and a cream shade. I have reviewed the duos here and here. I like both the singles and the duos as the quality is good and the shades work well for me. May I ask how much is the Burberry foundation? The foundation costs HK$390 (about S$68.40). I've only used the Burberry foundation once but I find it gives me slightly better coverage and oil control than Teint Miracle. I find that the Anna Sui duo eyeshadows to be too sheer and does not last very long although I tried layering the colours. Do you face the same problem? That is actually a Paul & Joe Sister handkerchief that I bought in Tokyo.